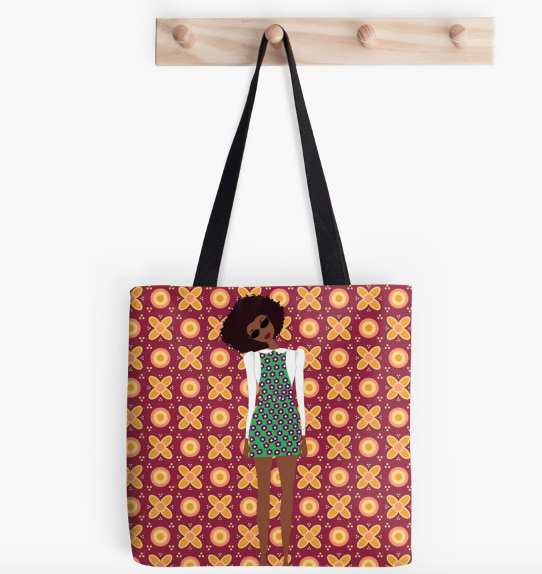 Our Black Girl Magic Tote Bag shows the power and of black girls. It is a reminder of how special you are. 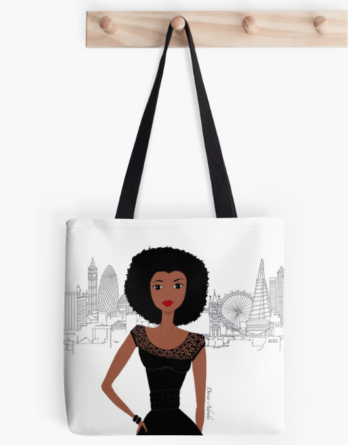 Each piece is printed with a stylish fashion illustration by French artist Doria-Adoukè. It represents a girl rocking with her natural hair and an African print outfit. The design was inspired by the colourful streets of La Havana and Trinidad in Cuba. Orange, yellow and white geometric forms spread out on a bright red background. 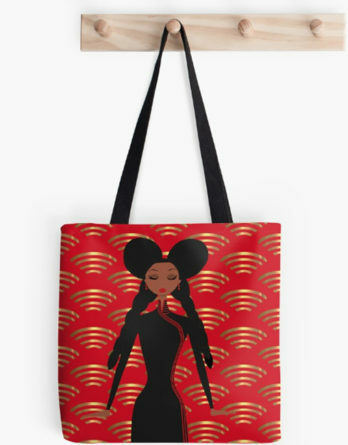 Our bag is for all the strong black women with a penchant for fashion. 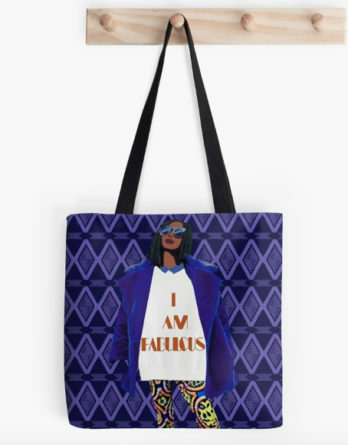 Carry a bag that expresses who you really are! 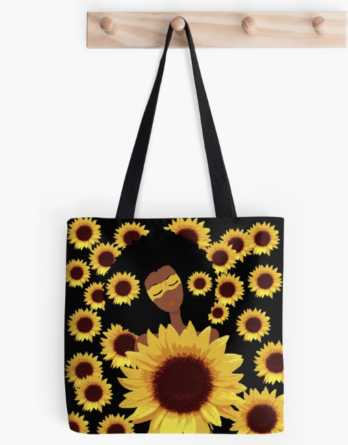 Browse our lovely collection of products such as our black girl magic phone case, our black girl birthday cards, our black girl magic calendar , and our black girl magic notebook.